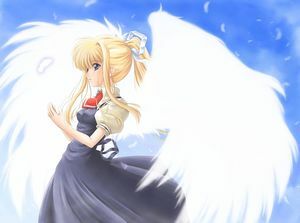 In December 2005, the members and visitors of All Anime World voted for the "Cutest Anime Girl 2005". Collected by email our members and visitors entered 19 girls into the contest during the last weeks of November. The only requirements: All girls had to be anime characters and may not have won already. Focusing on cuteness and cuteness alone, 836 people voted for the Cutest Anime Girl 2005 between Dec 1 and christmas evening. Of these 835 votes, 819 votes were given anonymously leaving only 16 registered members votes. (My vote included!) While the participation of external ("Anonymous") votes was not as good as last years the number of votes from our registered users more than doubled. Again many people were too lazy to do 5 mouse clicks. A "point" equals one vote of an unregistered member. 24 "points" equal a registered members vote. I never expected this result. 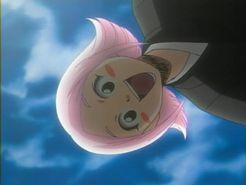 It's not the huge gap between the votes given to rank 1 and 2, but the fact that Yachiru Kusajishi got so many anonymous votes. This might be a "keoland" effect where a group of fans continously voted for her every day in order to "push" her rank. I barely think of this person as cute, but hm... this is a democratic election isn't it? Of course, Margaret Burton just has to be uncute since she's not a little girl. Otherwise, the result looks very reasonable. Misuzu Kamio leading the list with a convenient distance to that energetic Yachiru Kusajishi. Rank #3 is occupied by Suzuka Asahina of Suzuka, being a very popular series and also due to the high quality pics of her. This is now the official accouncement of the winners in our Cutest Anime Girl 2005 contest. We promised to send a "Hunter X Hunter" poster directly imported from Tokyo to one random registered voter who is not bound by COPPA rules. The winner has been elected by rolling a 20 sided dice I got from a D&D freak. This year the poster is going to "kuroazera". Congratulations!